I’m challenged by this double-dare of a quote from psychologist and author Barry Schwartz. It’s taped to my sun room wall, where I see it nearly every day along with this candid photo of me featured above. The back story to the photo is that a hiking buddy took it as the sun began to set over Clarks Hill Lake in South Carolina. My friend really liked this shot of me. I did not. “The angle, my chin, it’s not my best,” I complained. But the bigger truth was that he caught me in a moment when I was in my heart. I wasn’t posed or faking a smile. I was uninhibited, happy and lost in nature. In other words, I felt exposed. He had captured the free-spirited tom-girl I rarely let people see. And it felt scary. The photo also captures a time when I was in a state of uncertainty. I was thinking about evolving my business to make the impact I wanted to make. And boy, was I vulnerable. Today the quote and my photo take center stage in my work space. They remind me: If I’m not feeling a little freaked out about what I write in this blog or what I share with my clients to help them on their personal branding journeys—then I’m not even close to getting it right. Do you have a photo or quote in your work space that exposes your heart or challenges you to keep things real? I would love to see it and feature it in my blog or social media. 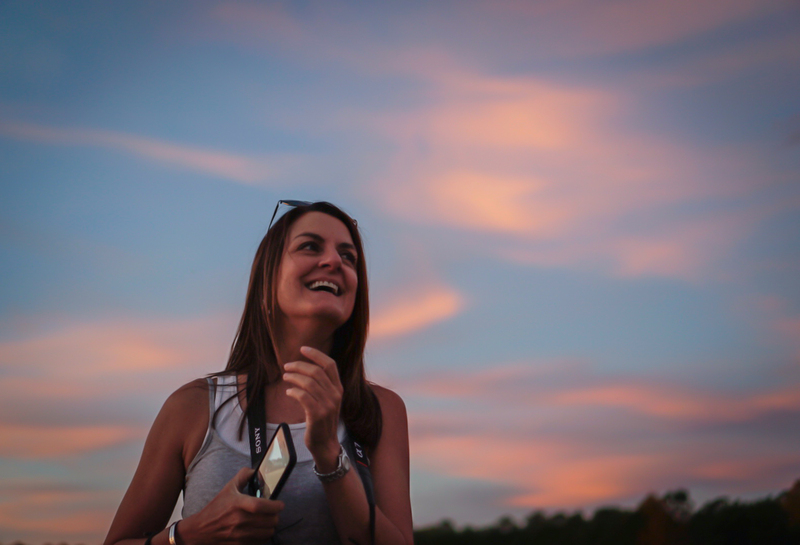 Photos: Carole Dupré candid photo at Clarks Hill Lake, SC, by J. Penberthy. Sunset photo, Sony a7, 16mm, by ©Carole Dupre LLC. All rights reserved.